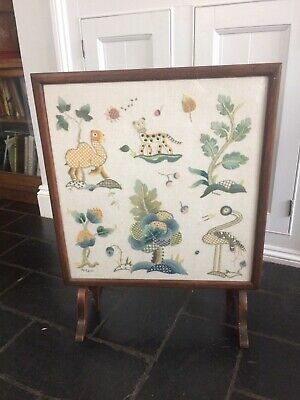 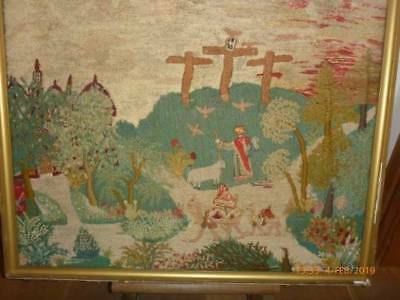 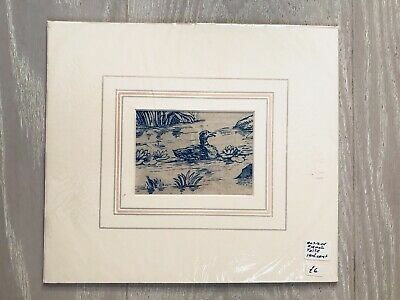 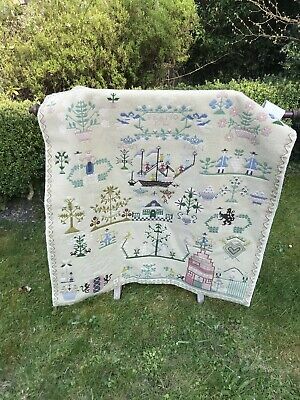 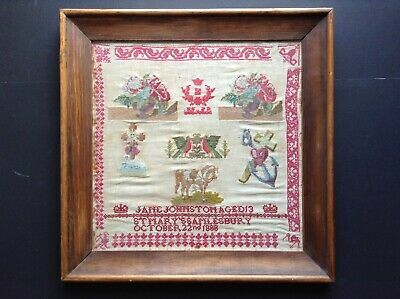 Antique Victorian Sampler Jane Bradley Aged 10 1842 Animals Landscape Large. 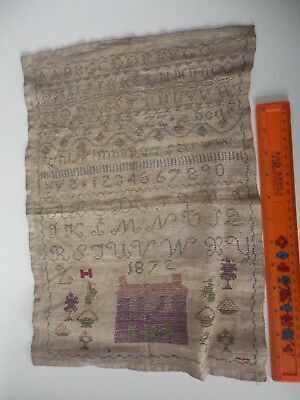 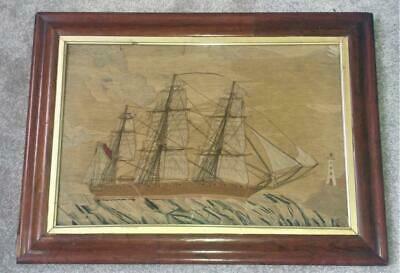 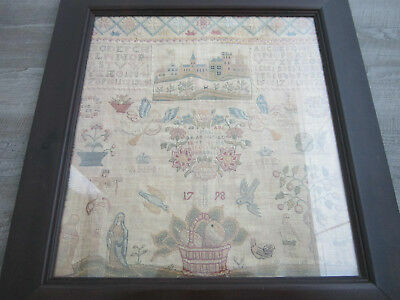 Antique Sampler Dated 1773 - 246 Years Old! 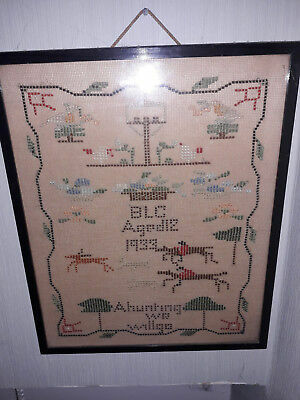 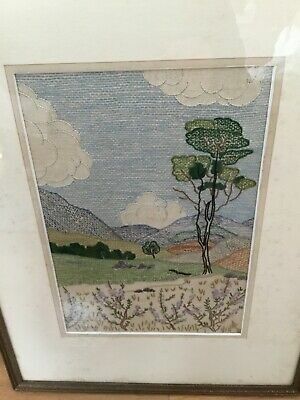 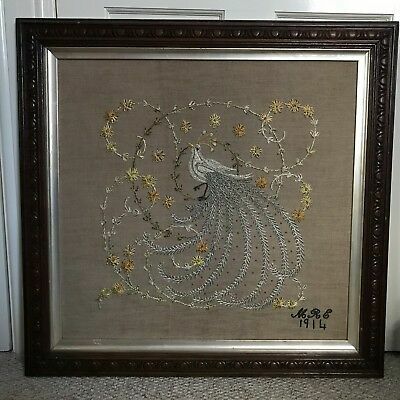 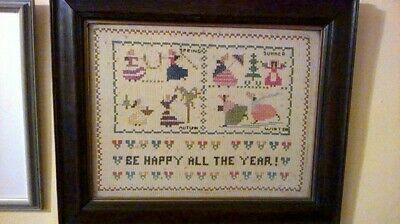 1936 Art Deco American New York Sampler Antique Embroidery by 14 year old girl. 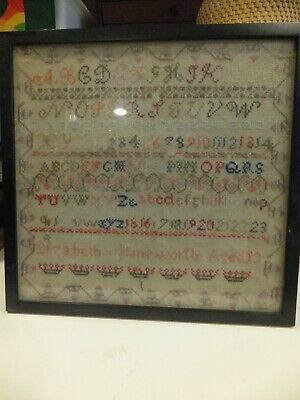 Sampler. 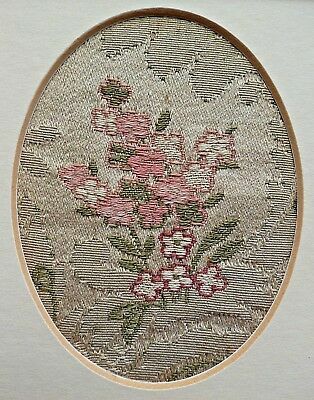 Embroidered Antique french silk brocade. 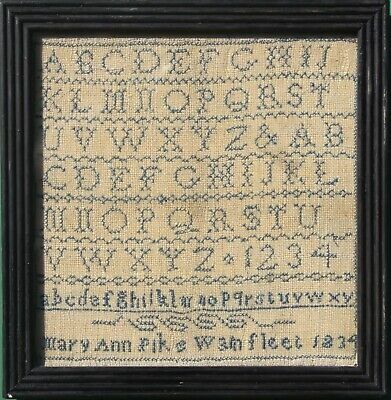 Made in 1912. 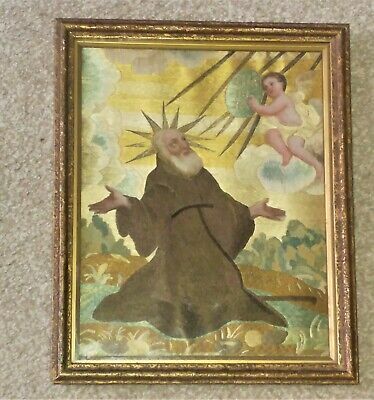 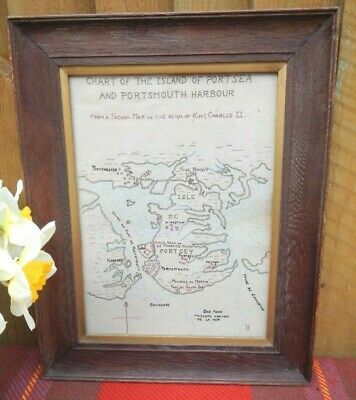 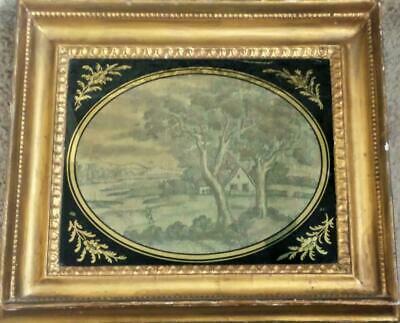 Includes frame. 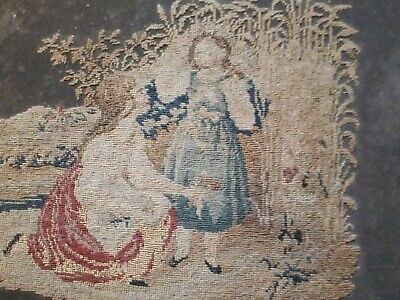 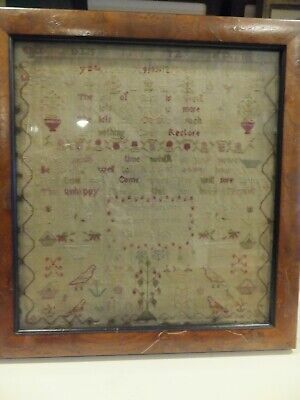 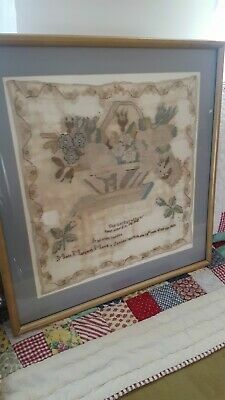 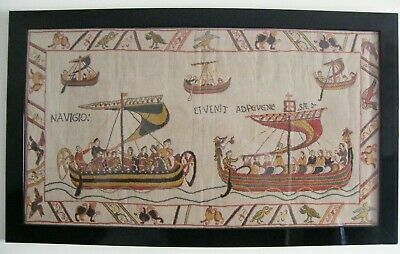 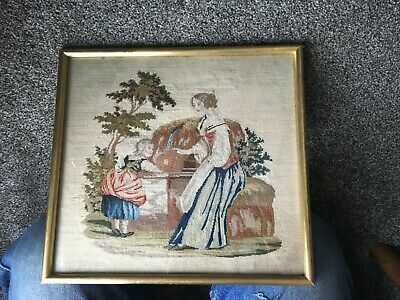 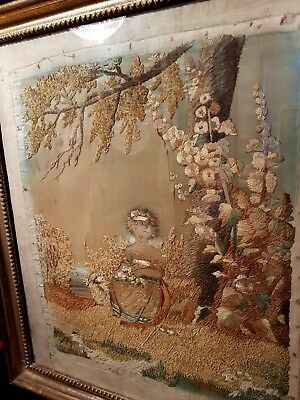 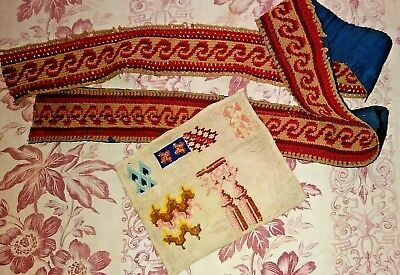 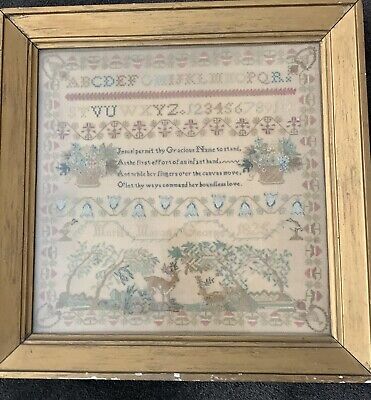 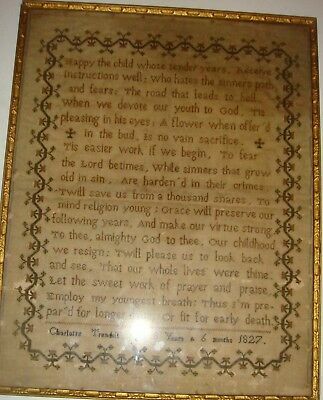 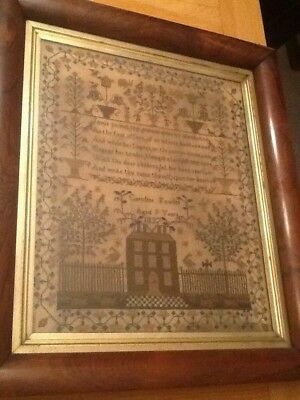 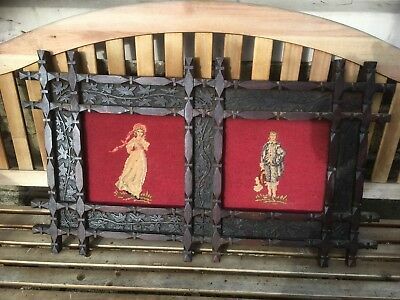 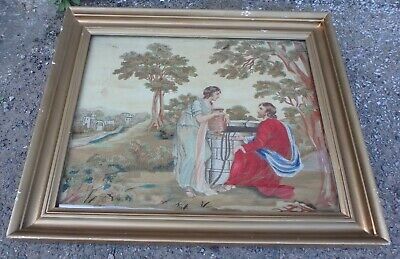 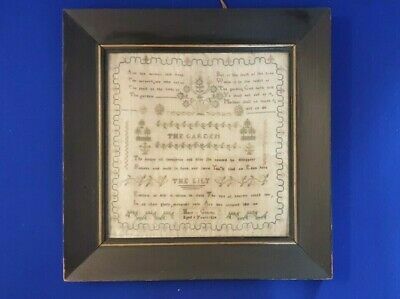 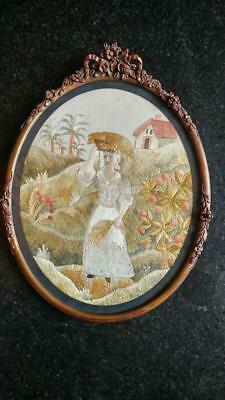 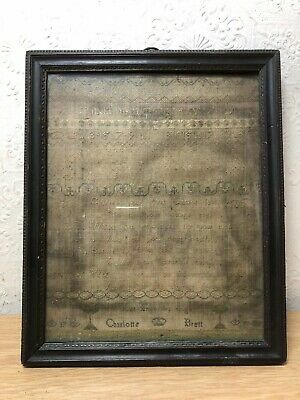 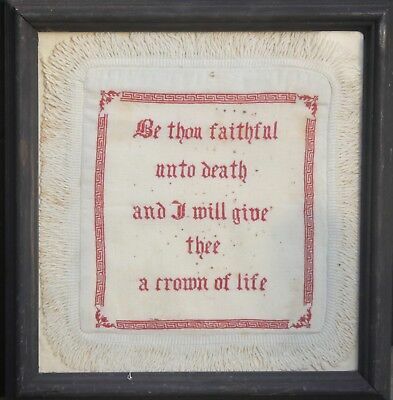 Antique George IV 1825 Rare Needlework Sampler !!! 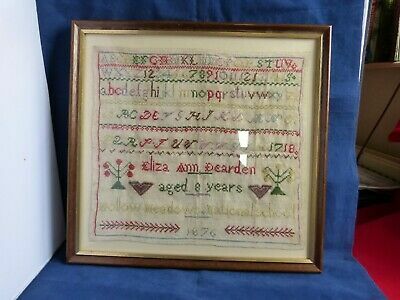 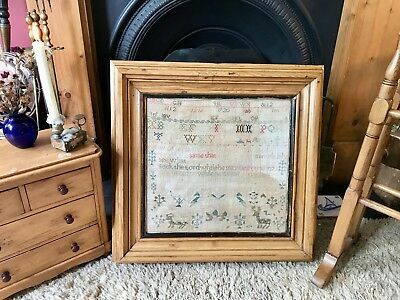 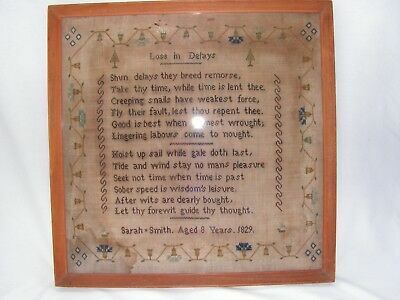 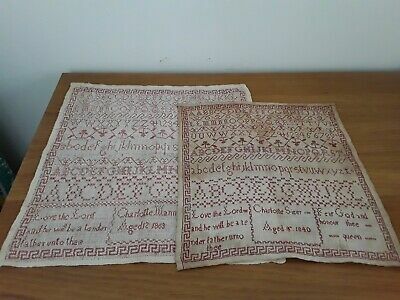 Antique William Iv Embroidered Sampler By Sarah Smith 1829 "loss In Delays"
Rare Antique Needlework Ackworh School Sampler By Hannah Dyson 1840. 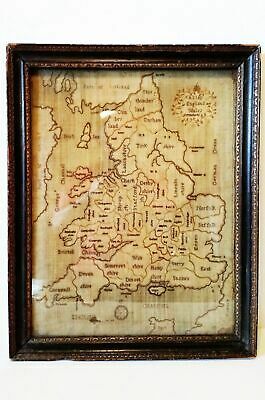 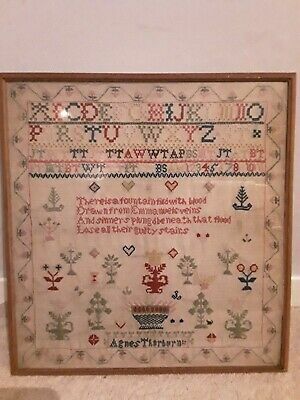 Rare.19th c Antique Victorian Welsh Language Sampler.Edwards.1874. 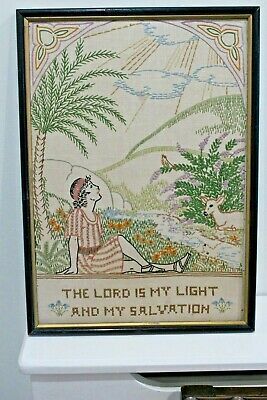 Bright. 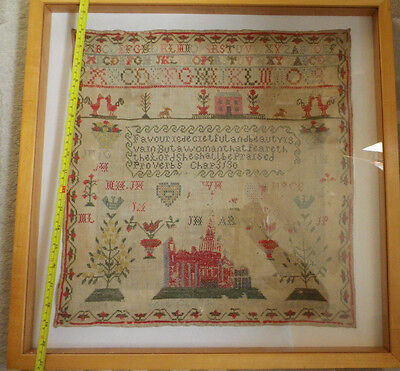 19th Century Sampler. 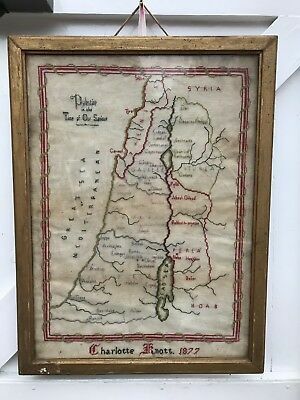 Palestine 1877. 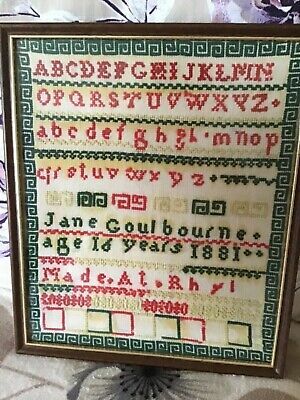 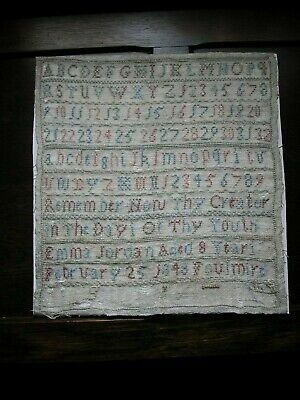 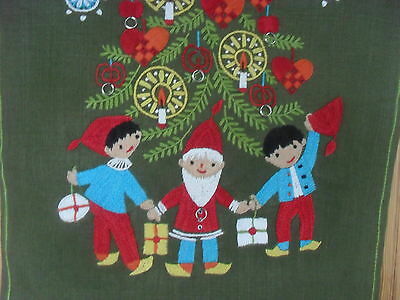 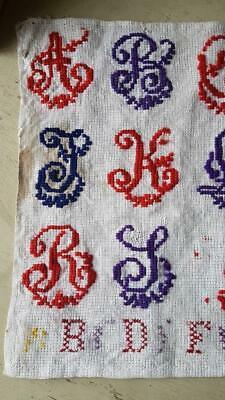 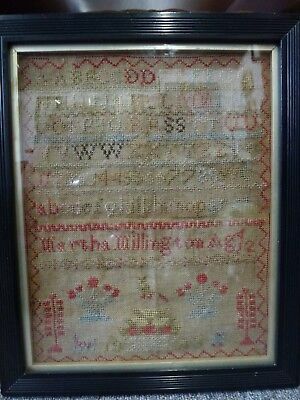 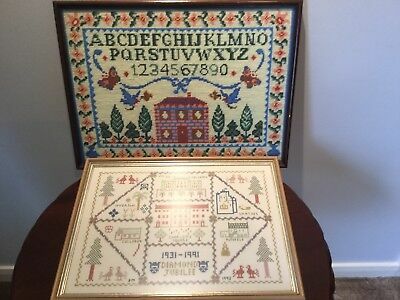 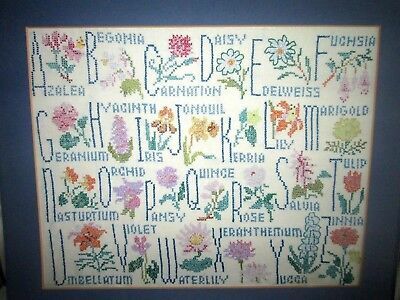 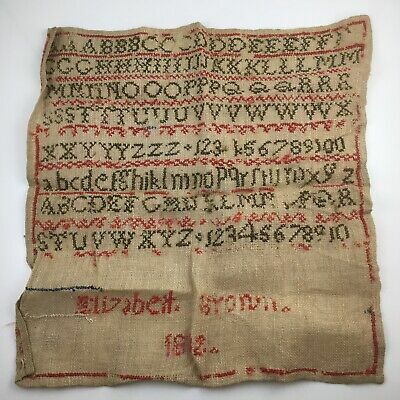 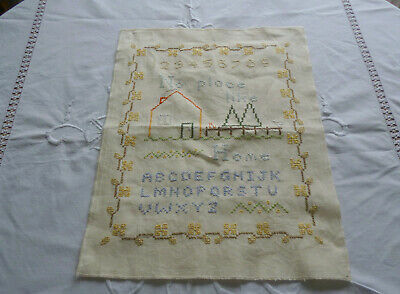 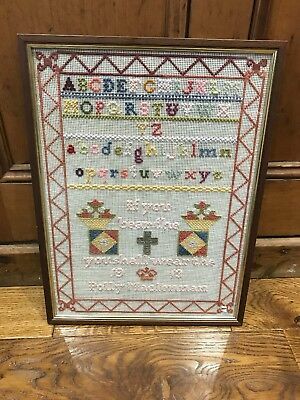 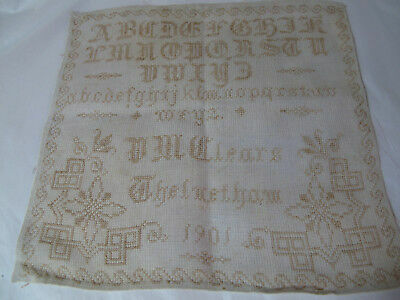 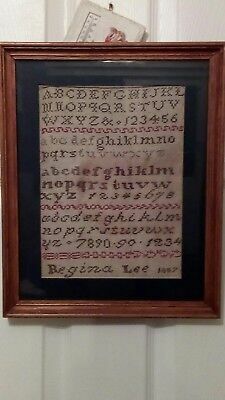 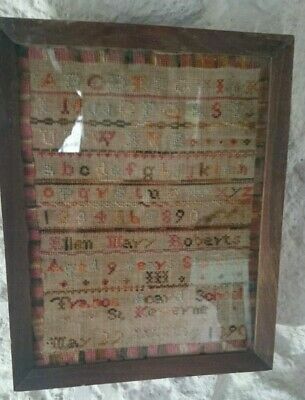 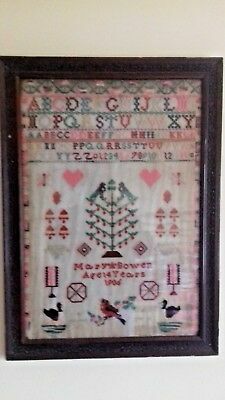 Victorian Sampler c1891 By Young Boy!!! 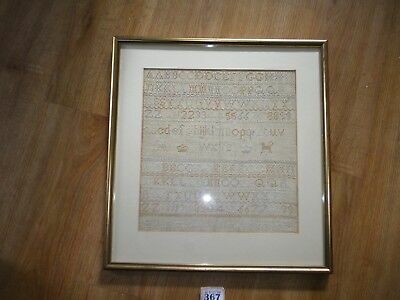 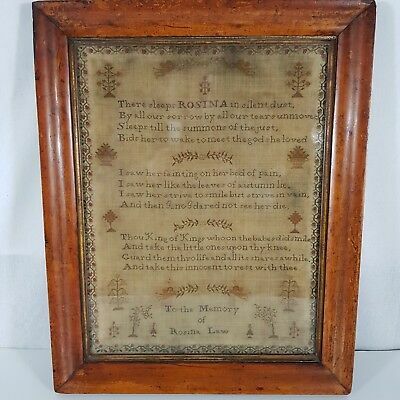 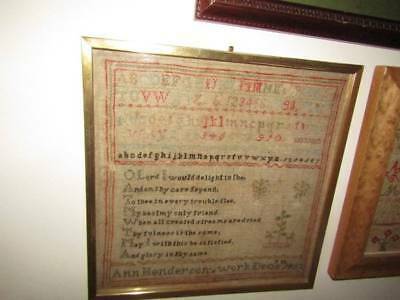 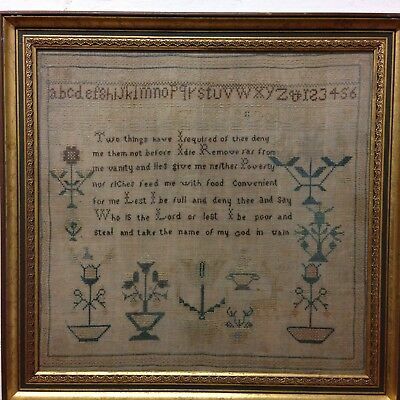 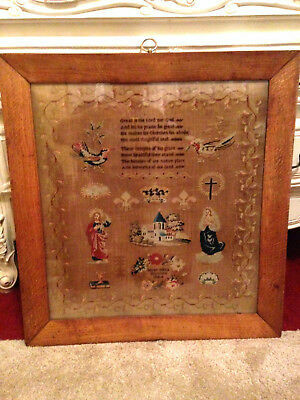 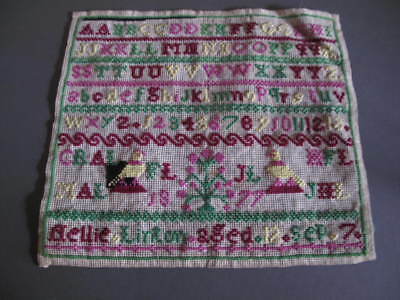 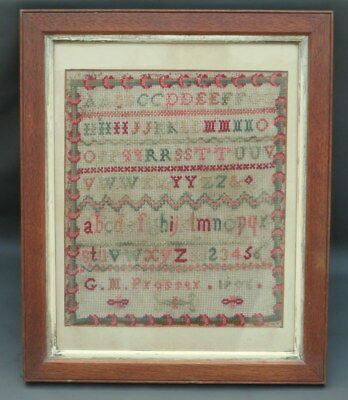 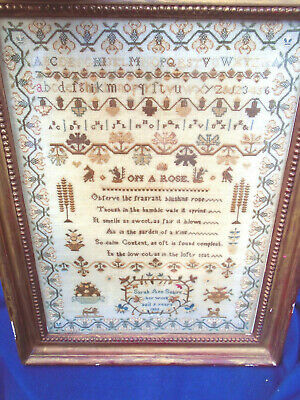 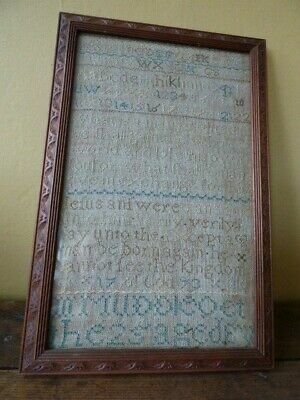 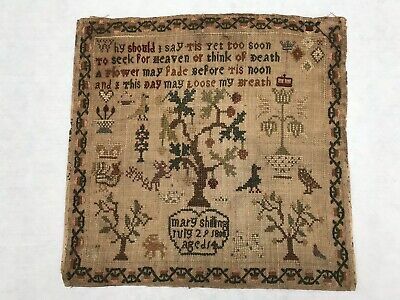 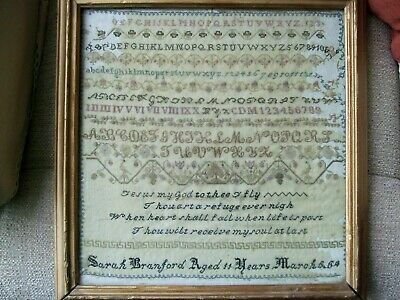 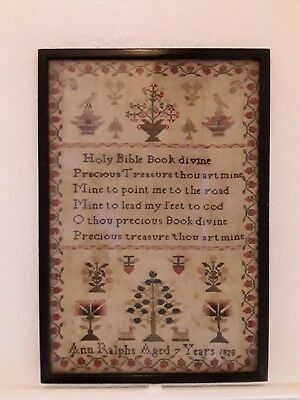 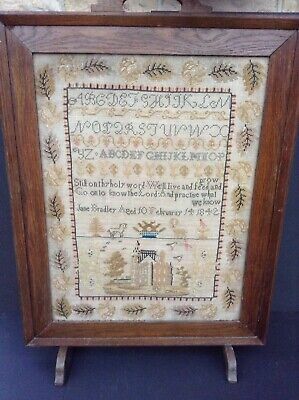 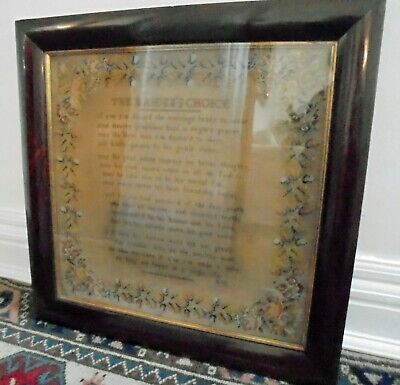 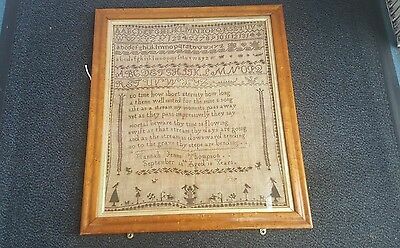 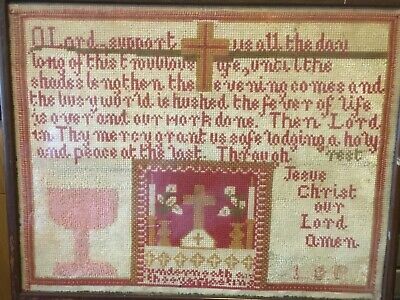 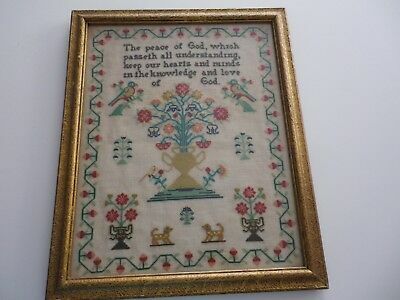 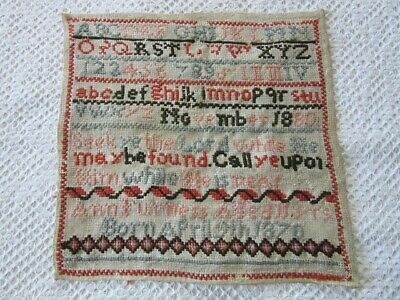 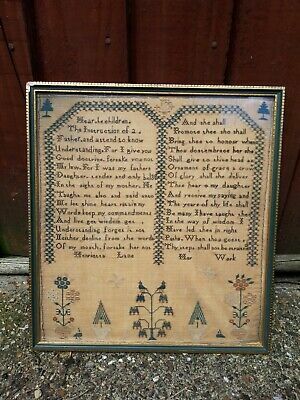 SMALL ANTIQUE VERSE SAMPLER NEEDLEWORK. 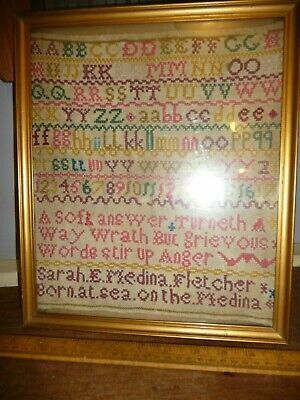 Victorian Gothic Script. 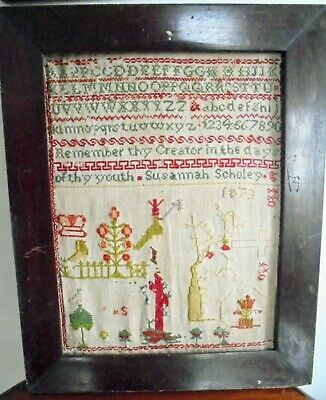 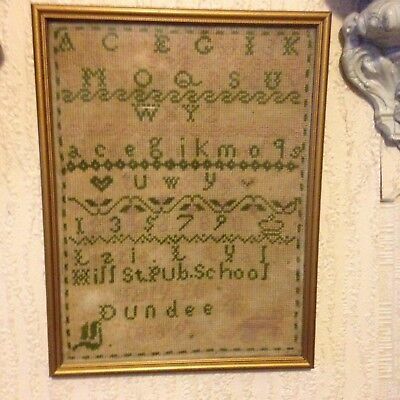 1906 Hand Stitched Embroidered Vintage Sampler made by a 14 old Young Girl. 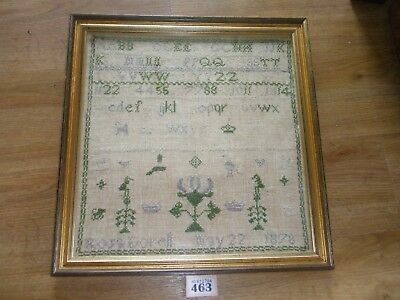 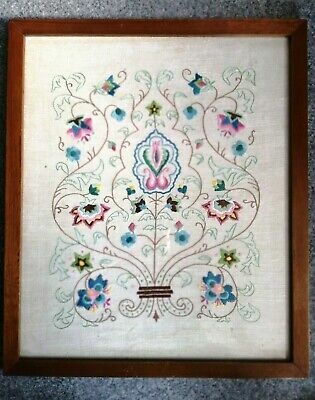 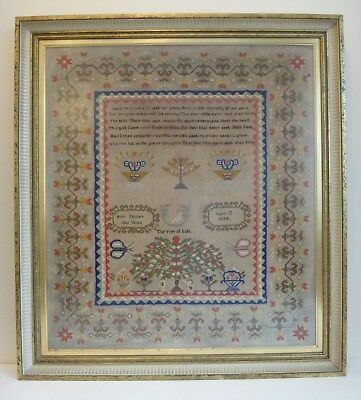 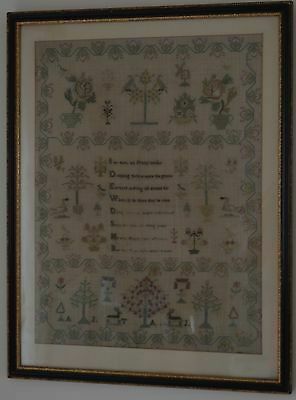 Antique Georgian Unframed Sampler. 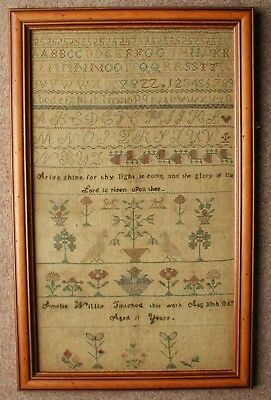 Dated July 29Th 1800. 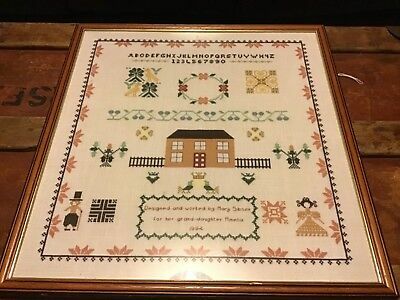 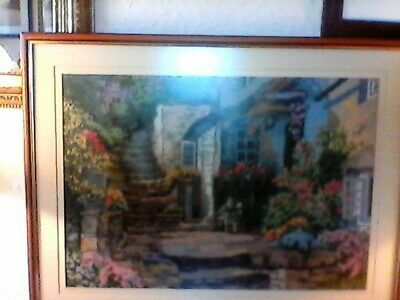 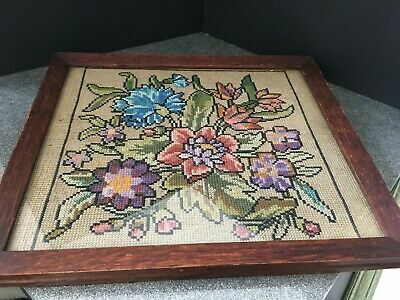 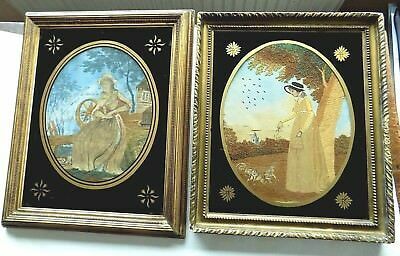 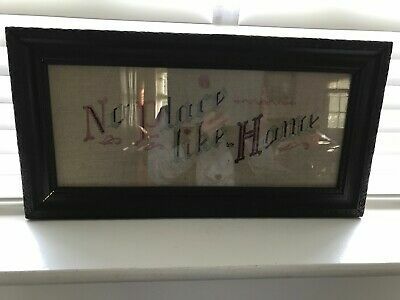 Large Framed Sampler Lovely Cottage Garden Scene Vibrant Colours Exc Cond.